Clifton beach has something of a reputation with the trendy set in Cape Town and is a haven for international jetsetters. Together with its immaculate white sands and glistening water, their bronzing bodies and designer sunglasses grace Clifton’s 4th beach with sufficient glamour and eco-savvy to deserve not only the ‘see and be seen’ status it has acquired but its blue flag status as well. The upmarket suburb of Clifton lies just beyond Bantry Bay, between Sea Point and Camps Bay, in one of the most superb settings against the backdrop of Table Mountain. The beaches at Clifton are divided into four distinct coves by stretches of granite boulders and, whilst they may not be very imaginatively named, 1st, 2nd 3rd and 4th, their beauty makes names rather superfluous. Each of the beaches is reached by a flight of stairs down from the road on which parking can sometimes be extremely difficult. This doesn’t hinder the crowds during peak season or in the evening when throngs of people head down to Clifton to partake in traditional sundowners in the presence of one of Cape Town’s legendary sunsets. 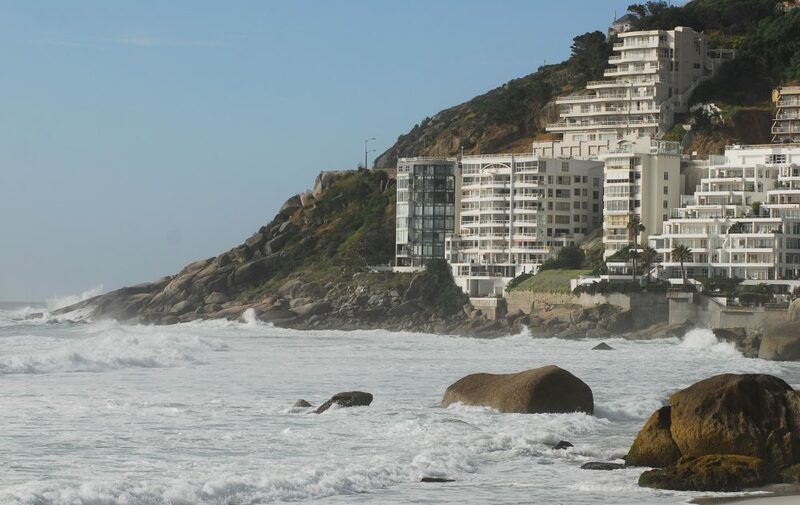 The four beaches of Clifton are well protected from the notorious south-easterly and, whilst there is the occasional wave, most simply lap at the shoreline. Staying here often has the added bonus of quiet evenings as the throngs tend to head off just up the road to Camps Bay’s many restaurants, clubs and bars as Clifton offers little in the way of restaurants and has no shops to speak of.